I have just added a page with links for downloading files for Abraxan's fics in Microsoft Word (DOC), Firefox/Internet Explorer/Opera (HTML), Adobe Acrobat (PDF) and PDA (PRC) formats. If you don't know what fan fiction is, refer to this wikipedia page for an explanation. This particular fan fiction by Abraxan is in the Harry Potter universe for Harry's sixth and seventh years at Hogwarts and is quite an enjoyable read. She has a Yahoo group which can be reached here. 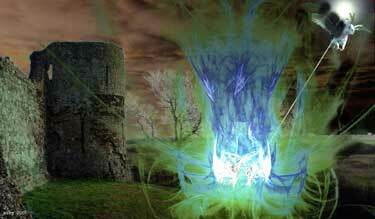 The Refiner's Fire and the Time of Destiny cover the sixth and seventh year, respectively, at Hogwarts. The Time of Destiny is the sequel to The Refiner's Fire and The Refiner's Fire must be read before Time of Destiny for it all to make sense. Combined, the fics span over a million words so be prepared to spend some quality time reading these fics. You can download these fics at this page for offline reading. They can also be found online at FanFicAuthors, FanFiction, O.W.L, Fiction Alley and SIYE. Do remember to review and/or share your comments! Thanks for all the wonderful links. I hope you do enjoy this and other works of fan fiction. Do share any recommendations you may have!